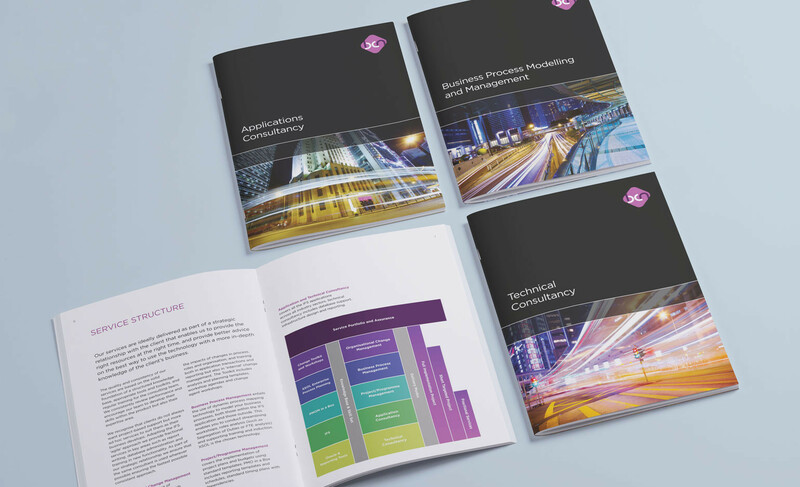 We worked with Laan Associates and The Business Change Network TBCN to develop a series of guides outlining their specific services. TBCN develop and implement business consultancy programmes for businesses with turnovers of £8 Million to £8 Billion. The guides were highly produced to mirror the high value clients they were aimed at. The imagery both highlighted the city based marketplaces and also the fast paced change is modern business. We also developed a series of illustrative tables and charts to highlight complex information is a visually appealing way. Solving these difficult problems and making something clear, understandable and appealing is what we like to do.